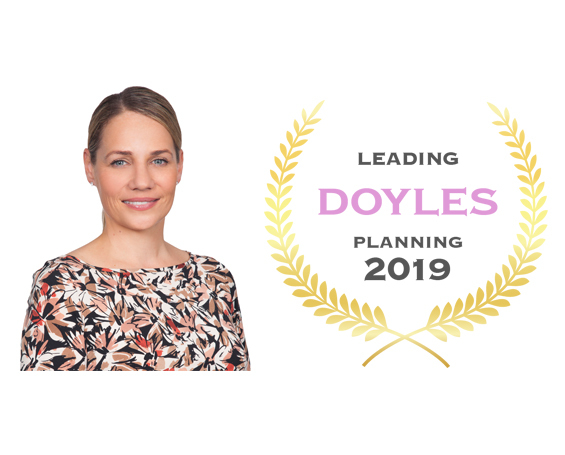 Kelly Alcorn, Partner, has been recognised in the 2019 Doyle's Guide rankings as a leading Queensland Planning & Development Lawyer. The 2019 listing details solicitors practising in town planning and development matters in the Queensland legal market who have been identified by clients and peers for their expertise and abilities in these areas. Kelly leads Carter Newell's Planning & Environment team. She has 20 years experience assisting the property, infrastructure, energy and resource sectors to navigate the complex and ever-changing regulatory framework to facilitate the timely delivery of projects. Kelly has previously been recognised as a leading Planning and Development Lawyer and Leading Environment and Heritage Lawyer by the Doyle's Guide, and has also been named in Best Lawyers Australia® in the field of Land Use and Zoning Law.